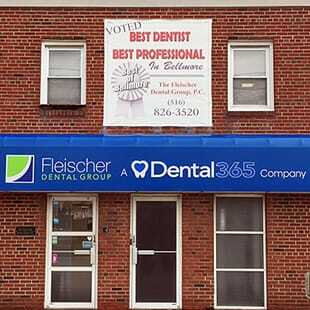 A well-known and established dental office in Bellmore, Fleischer Dental Group, and its staff have now joined the Dental365 family. Located at 2085 Bellmore Avenue, north of Sunrise Highway, Dental365 gives patients high-quality, affordable dentistry while offering routine and walk-in emergency dental care. Dental365 is also open evenings and weekends so that visits to the dentist fit into their patients’ busy lifestyles. Patients are also able to visit the Merrick Road location in Bellmore or any Dental365 location seamlessly. The office is led by Dr. Michael Fleischer. Dr. Fleischer founded the practice in 1990 and has been a staple in the Bellmore community ever since. He is celebrating the 31st anniversary of his graduation from the SUNY Buffalo School of Dental Medicine and is thrilled to be joining the Dental365 family. The newly renovated office provides a storefront walk-in experience with state-of-the-art equipment and the latest technology with patient comfort being at the center of the office design. Each exam room is complete with a smart television along with many other patient amenities. This is the tenth Dental365 location to open in the New York metropolitan area and more offices are scheduled to open throughout the new year. Dental365’s goal is to service the communities they are in with the latest technology in oral healthcare and wellness. As an added convenience, their brand new, inviting offices focus on all areas of dentistry, so patients never have to go elsewhere for dental treatment. Dental365 accepts walk-ins with little or no waiting time for adults and children and offers everything from emergency extractions to routine exams, including cosmetic restorations and implants, periodontal procedures and Invisalign all in a state-of-the-art, beautiful environment where your comfort is a top priority. For more information about Dental365 or to schedule an appointment call (516) 826-3520.